Ekta Kapoor organized a Diwali party at her Mumbai residence on Tuesday night, which was attended by several Bollywood and TV stars. 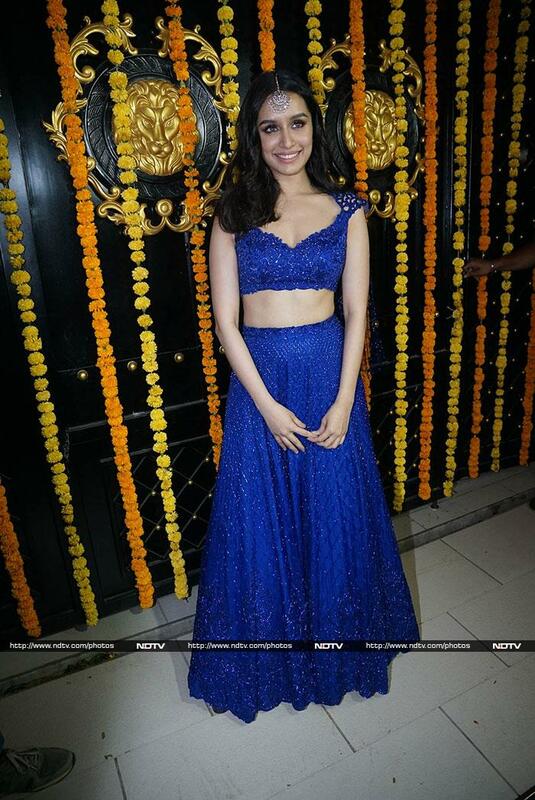 Shraddha Kapoor looked resplendent in a bright blue lehenga. Shilpa Shetty looked perfect in a pastel saree. Kriti Sanon looked stunning as ever in a red outfit. Kiara Advani and Lust Stories director Karan Johra wore colour-coordinated outfits. Parents-to-be Angad Bedi and Neha Dhupia couldn't have looked any better. Veteran actress Shabana Azmi looked graceful as always. Gold actress Mouni Roy looked stunning in an embellished lehenga. Urvashi Dholakia showed up in a black and pink saree. Sophie Choudry also attended the party. Anita Hassanandani aced the ethnic look and how. Karan Patel arrived with his wife Ankita. Designer Manish Malhotra posed for the shutterbugs. Ekta Kapoor's brother Tusshar Kapoor wouldn't have missed her sister's party for the world. Arbaaz Khan attended the party with rumored girlfriend Georgia Andriani. Jackie Bhagnani was dressed in an unconventional outfit.